I was wondering around on Etsy when i came accross these cute little keys. All different sizes and shapes I just had to have them. Since I’m venture slowing into the world BJD clothes I thought these keys would be perfect for accessorizing they’re tiny clothes. 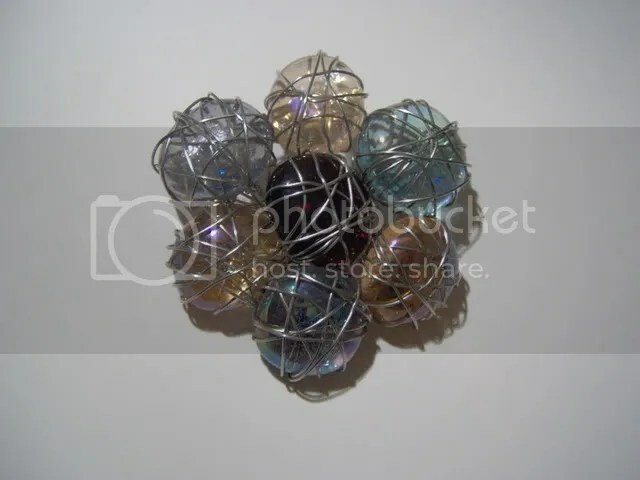 Also some of then are bigger and can be uded in necklaces and purses. They are so cute! I took pictures of all of them and then closer ones of the left side, middle, and right side. I also used a penny as size refference to give you an idea of what size they are. 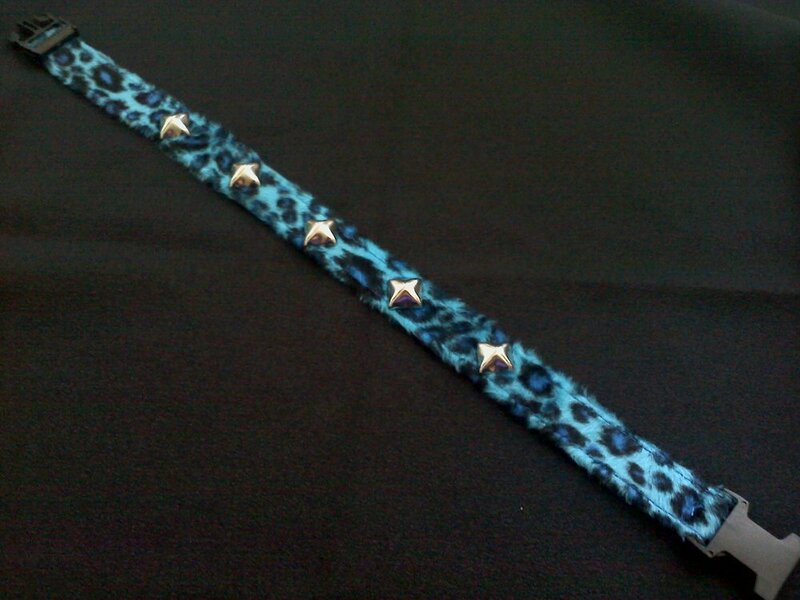 *NEW* Teal Metallic Choker w/studs! 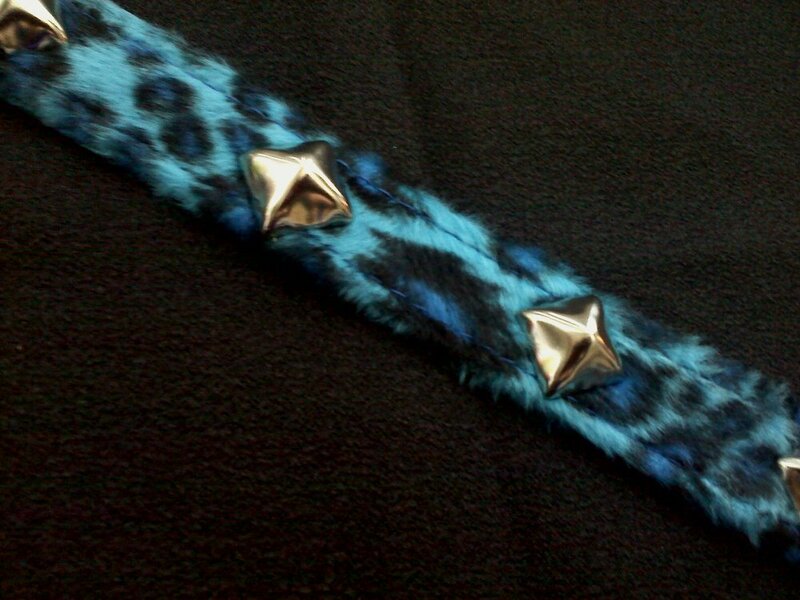 *NEW* Blue Leopard faux fur choker! 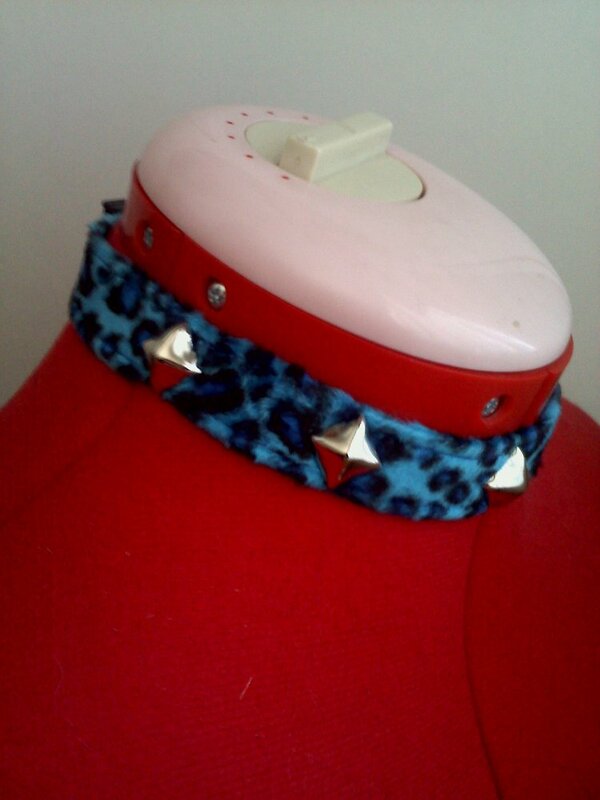 My latest creation that I just made today. 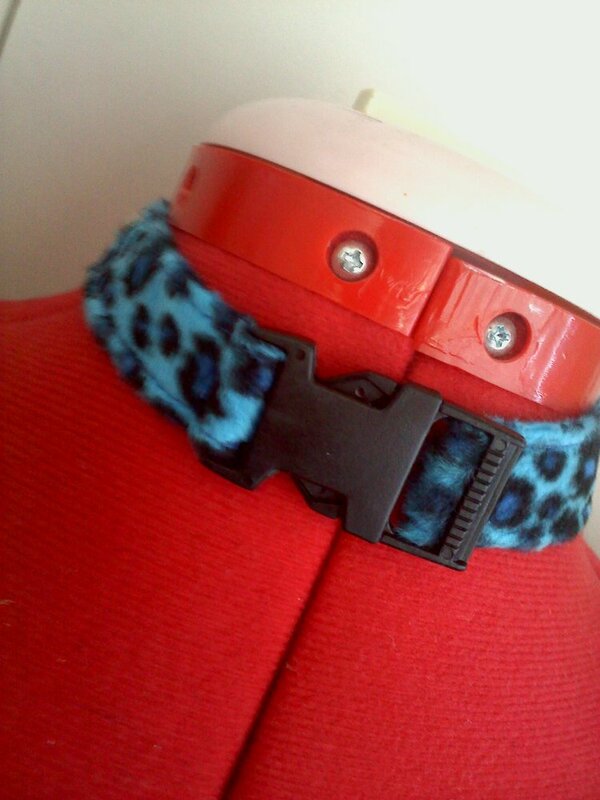 I love this fabric so much it inspired me to make this awesome coker! I purchased these awesome metal pyramid studs about a month ago and have been dying to use them. Here it is WolfChild Design’s first coker! Hope you enjoy it! 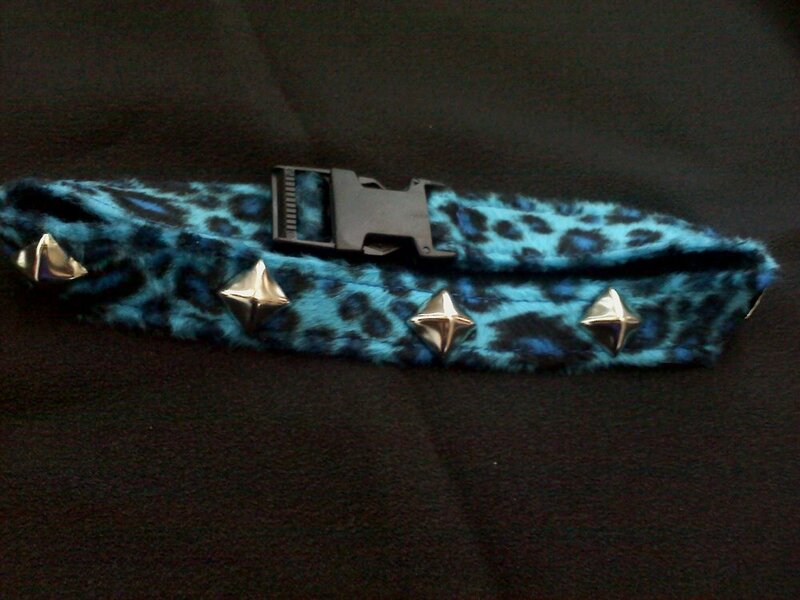 It’s currently up for sale on my Etsy site! This is a jeweled broch I made for my friend Mara’s birthday. 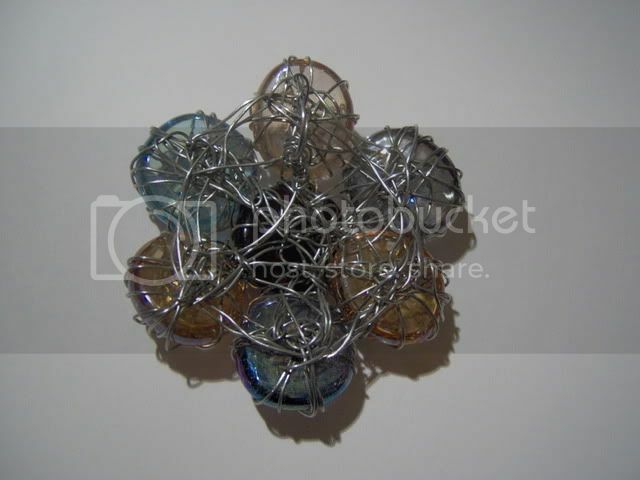 Made from glass stones and jewelry wire. Wasn’t too hard and the supplies were on hand. I’d never done this kind of thing before and I really like the way it came out. It only took me about an hour. The inspiration came from Mara herself, I thought of her and how she is and these jewels came to mind. Here is the necklace and bracelet for the “Olette” costume I made from the video game “Kindom Hearts 2”. 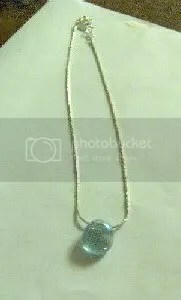 The necklace is just a silver chain with a blue transparent glass stone glue to it. 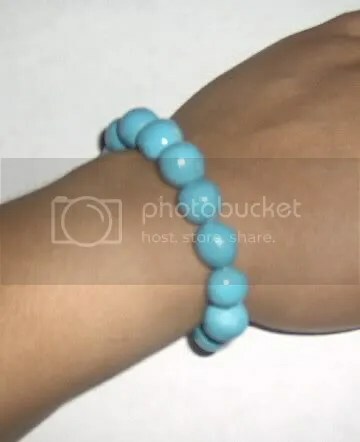 The bracelet was made from white clay that I shaped by hand into small beads then painted turquoise and glazed them for shine. 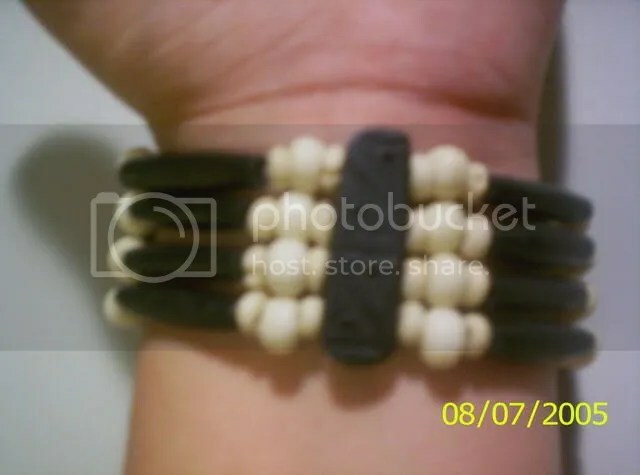 This is a bracelet made from a larger coker necklace that had broken. 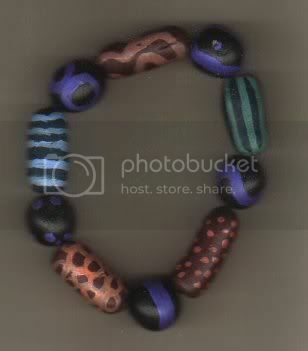 All the beads fell off so I decided to make it into a bracelet instead. I used the beads from the necklace and changed the design and order of the beads, and used elastic string instead of regular thread so that I didn’t need a clasp. I can just slip it on and off. This bracelet was my first project working with clay to make beads. The clay came in various colors and then I painted the designs on them with regular acrylic paint. I used elastic string to finish that way it was easy to put on and take off. Also with the elastic string it was water resistant.